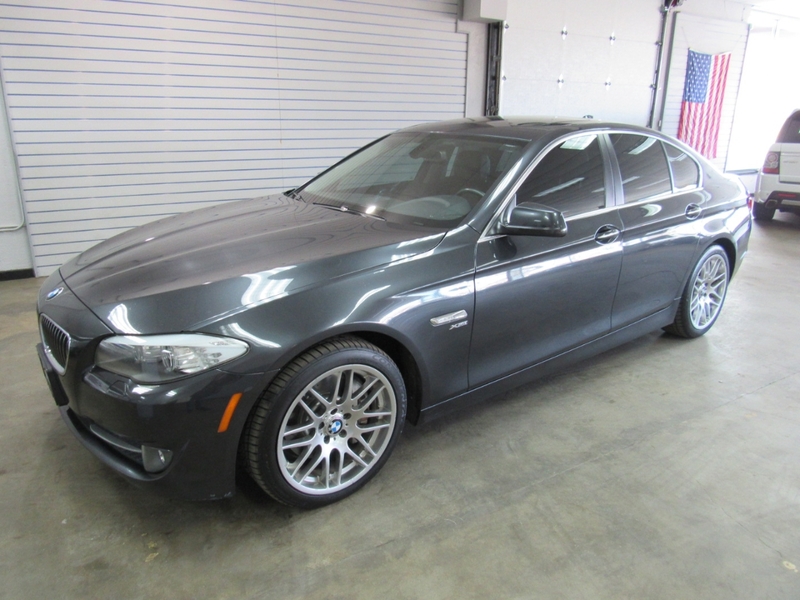 Used 2011 BMW 5-Series 535xi for Sale in Denver CO 80220 Weisco Motorcars, LTD.
2011 BMW 535i xDrive all wheel drive and twin turbo 6cly with only 101k miles. Done in dark gray over Brown leather and upgraded sport wheels this is a very sharp looking BMW. Has nice upgrade options like: comfort access, Navigation, Back up camera, sunroof, rear sun shades, heated seats, heated steering wheel, wood trim, power truck, keyless entry, and much more. Both the inside and outside are in very nice shape and free from door dents or chips in the paint. Call Weisco Motorcars for more info or to set up a time to stop by for a test drive as this BMW will not last long at this price.